threatening problem for millions of people in some countries like America (U.S). 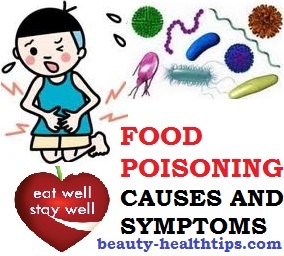 Due to contaminated food or water with bacteria,parasites or different types of toxins consumptions produced by these germs causes the food poisoning. These toxins are released in the food before it is eaten and makes you ill after digesting the food .But the Staphylococcus or Entamoeba coli like common bacteria is the main culprit. Food get contaminated from sanitaion,unhygenic places where food prepared,packaged food if not stored in correct temperature also aggravate contamination. Sometimes our hands look clean but still they carry germs.Coughing and sneezing without cover our hands and nose may also spread germs. We shouls not mishandling of food during food preparation and also during cooking. Biological contamination which comes from harmful micro organisms like virus,protozoa,moulds,yeast like bacteria is the most dangerous kind of contamination.